1. 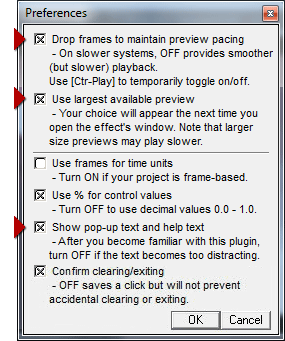 In the FX (Effects Room) tab of PowerDirector, choose Pixelan, then drag-and-drop FilmTouch 2.0 (or FilmTouch 2 Pro, if you have that) onto a clip in the PowerDirector timeline (or onto the Fx track). 2. Click the Effect button above the PowerDirector timeline (if the FilmTouch effect is applied on a clip) or click the Modify button (if the FilmTouch effect is in the Fx track). 3. Click the Stand-alone Effect button to open the FilmTouch main window, as shown below for FilmTouch Pro. See the easy steps described in the left side of the illustration. 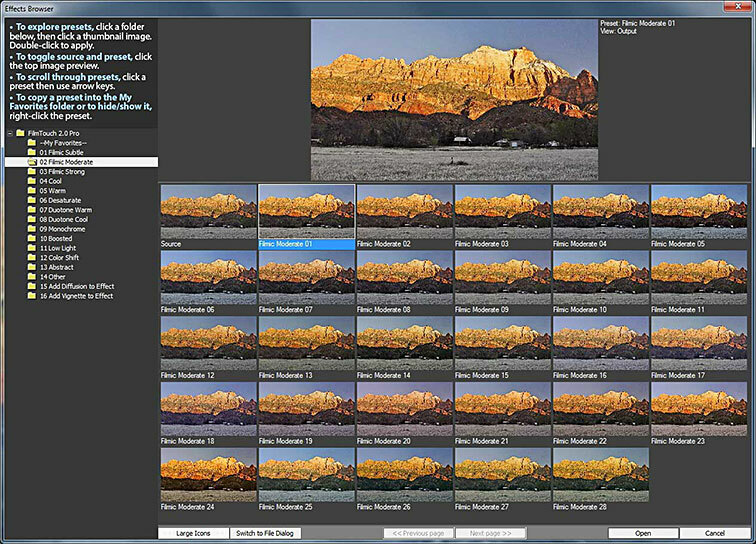 The window for the regular version of FilmTouch is similar but only has three controls.